Breakfast in Rome? La Zanzara will amaze you. A sweet, savory and international breakfast. From coffee to centrifuges, not to mention Club sandwiches and the mini rosette gourmet: from 7:30 a.m. to 12 noon we’ll be waiting for you to start off a great day with our breakfast! It’s not just a simple breakfast in Rome. Italian breakfast, Coffee shop, Desserts, Savory Breakfast, Juices, Shakes, Centrifuges and Smoothies. And much more… Croque Madame and Monsieur, Club sandwiches and eggs. And finally, newspapers at your table and free Wi-Fi. You’ll find all this in a familiar ambient, from the courteous staff behind the counter right up to what’s on offer in the menu. Breakfast at La Zanzara. A Breakfast Menu available seven days a week from 7:30 a.m. to noon. The only exception is Sundays: we too sleep half an hour longer… and we open at 8 o’clock! The Coffee is from Bondolfi: a traditional Roman brand that has always focused on the quality of the mixtures and the production process. Espresso coffee, American coffee, decaffeinated coffee, barley coffee, ginseng coffee and of course creamy cappuccinos, which you can have either at the counter or at a table. Peach and lemon Ice tea, naturally made by us. Brioches, to suit all tastes: simple, cream, apricot and whole-wheat. Finanziera, the French sweet: light and soft, perfect for those who don’t want to exaggerate. Krapfen, the famous Austrian fried sweet with filling. Croissant with Almonds, a real breakfast treat at La Zanzara. Girella with apple, raisins and pine nuts, similar to the flavors and scents of strudels. Muffins, because everyone loves this American sweet. 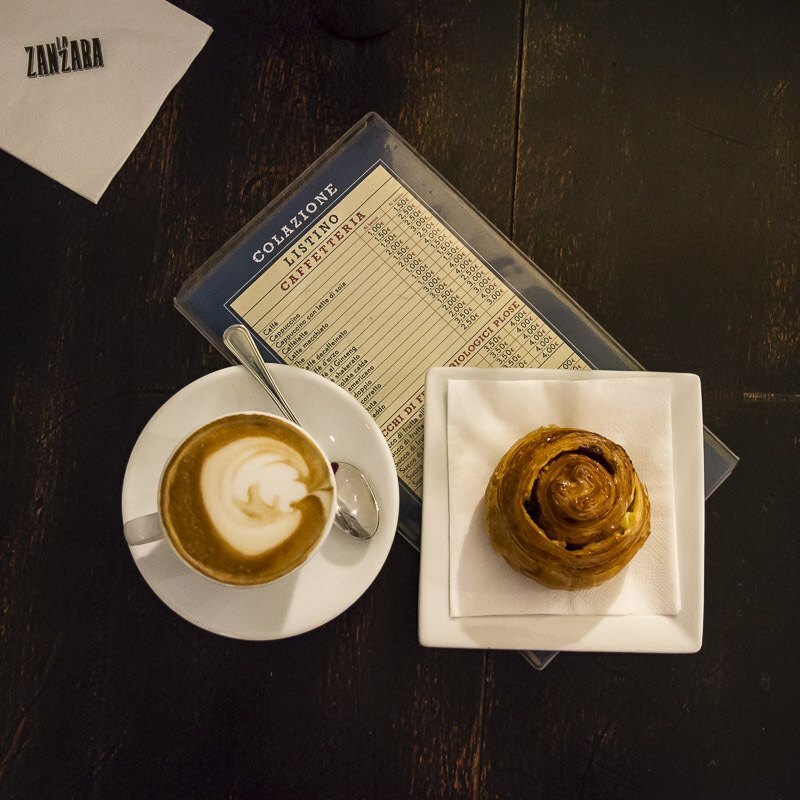 Savory breakfast, from 10 a.m.
At La Zanzara we’re proud to have one of the few breakfast offers in Rome… Savory! 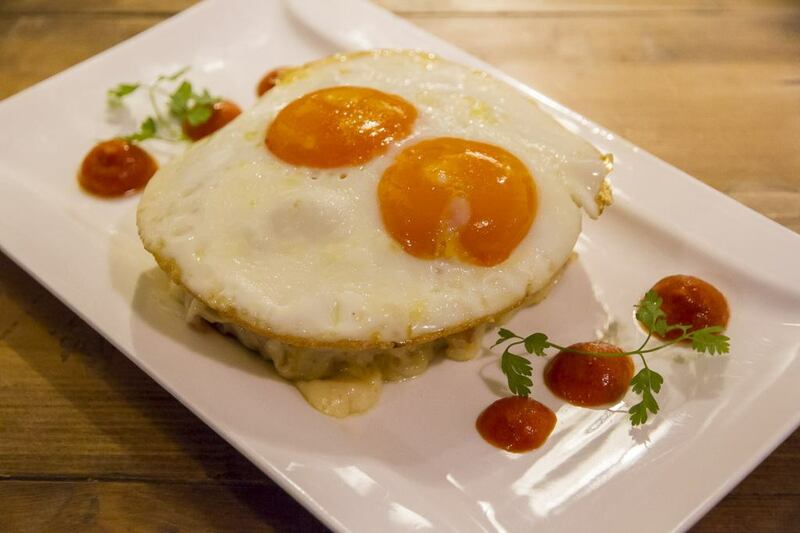 Egg lovers can choose: Eggs sunny side up, Omelets, Eggs Benedict with fondue and Eggs Benedict with salmon. From USA’s tradition, the Club Sandwich with chicken, with Roast-Beef or with Salmon. Directly from France: Croque Monsieur and Croque Madame. Absolute protagonists are the Mini Rosette Gourmet: Rome’s most famous sandwich stuffed with the finest meats and cheeses on the market. 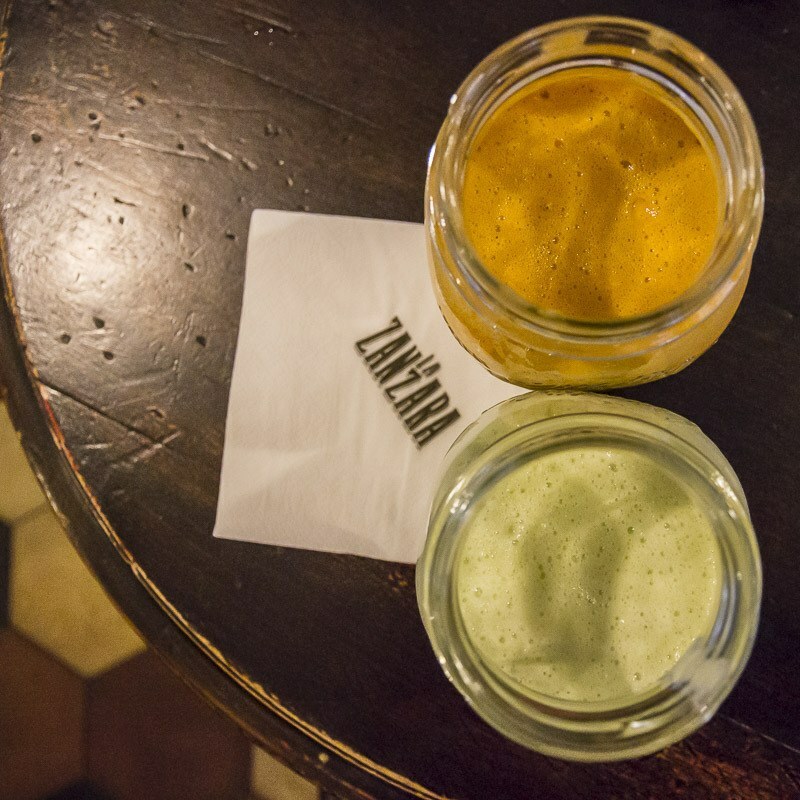 Breakfast at La Zanzara also means fruit and vegetable centrifuges. Healthy, light and tasty. The selection of five centrifuges was created for those who want to have a healthy, thirst quenching drink that is both detoxifying and energizing. Our choice of centrifuges includes pineapple, apple, ginger, celery, fennel and more. And of course, if you have a particular mix in mind… just ask and we we’ll do our best to accommodate you! The Smoothies are our specialty: fresh fruit, milk or orange juice along with imagination are the basic ingredients of this creamy shake, loved by all, especially our international customers. If however you prefer an Italian Frullato, you just need to ask. At La Zanzara, whatever you need and whatever your ideal breakfast may be, we’ll be waiting for you to start the day with a smile! “The day should begin with a hug, a kiss, a caress and a coffee. Because breakfast should be generous.” (Charles M. Schulz). ← New Year’s Eve dinner in Rome? Let’s all go to La Zanzara! New Year’s Eve dinner in Rome? Let’s all go to La Zanzara!